Why would I need self storage in Newark, DE? How much is a storage unit in Newark, DE? The cheapest storage unit in Newark, DE is $72.00 per month. What size storage units do you have available in Newark, DE? In Newark, DE we have sizes that range from 5'x5' to 10'x20' to suit your storage needs. How much is it for a 5'x5' storage unit in Newark, DE? The cheapest 5'x5' storage unit in Newark, DE is $72.00 per month. Newark is a mid-size city in northern Delaware, just a short drive from the larger city of Wilmington. Even though Newark is nestled between the metropolitan areas of Philadelphia and Baltimore, it has a surprising amount of land dedicated to public parks. More than 12,000 acres of parkland can be found in this city that covers more than 10 square miles total. In the early 1700s, settlers began to arrive in the area that is now Newark. The growing settlement attracted a variety of people of English, Scottish and Irish heritages. The rich soil in the area provided ideal growing conditions for corn, wheat and other crops that allowed the small community to flourish. By 1758, the town had a market, crossroads, a school, a brickyard, a tannery and an iron forge. The city received its official charter from King George II in 1758, and was witness to the nearby Battle of Cooch's Bridge during the Revolutionary War. According to local legend, this battle was the first time the American flag was flown. The town's first large industrial presence was the Curtis Paper Mill, opening in 1798 and running for close to 200 years. By 1837, the railroad had arrived in Newark, spurring its growth and development. In the 1950s, the city received another substantial boost with the opening of the Chrysler Newark Assembly Plant. Since then, Newark has experienced fairly steady growth through the 20th and 21st centuries. As a resident of Newark, you'll find plenty of opportunity to get to know your neighbors and the community with the numerous city events that take place throughout the year. You may be surprised to learn the small city has quite the thriving foodie community, with many of its local events revolving around food and dining. If you enjoy wine, the spring Wine and Dine event gives you the opportunity to sample a variety of wines from all over the globe, paired with specially-prepared small plates from many of the city's restaurants. The event also features live performances as well as a Five and Wine 5 mile run/walk. Restaurant Week and the Taste of Newark event offer even more food-centered fun, facilitated by dozens of the city's top-rated restaurants. If craft beer is something you enjoy, the Food and Brew Festival is a long-running Newark tradition that features close to 50 varieties of craft and international beers. The event is hosted by a handful of local restaurants that provide the space for a beer tour of sorts. The schools in Newark are part of the Christina School District. Special programs operated by the district include the Delaware School for the Deaf, an alternative high school and the Delaware Autism Program. The main campus for the University of Delaware is located in Newark, ranking among the top-rated schools in The Princeton Review. It offers a variety of degree programs but is best known for its business, chemical engineering and chemistry departments. Utilities: The city of Newark manages all utilities services for residents, including power, water and sewer. Garbage and Recycling: Your trash and recyclables will be collected on a weekly basis, with the specific pick-up days determined by your location. The city collects yard waste once a month, March through December. Transportation: The UNICITY Bus System provides a network of routes in and around Newark. 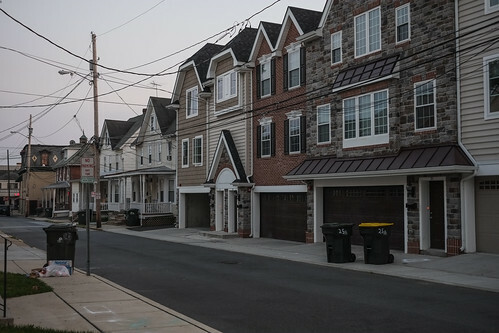 The median home price in Newark is quite a bit higher than the national average, but that's not uncommon for the East Coast. In comparison to nearby metropolitan areas like Philadelphia, Newark is actually fairly affordable. If you're looking to rent rather than buy, there are plenty of apartments to choose from. Our lowest priced units in Newark, DE average $72.00 per month. 114 people have reserved units in Newark, DE in the past 30 days. There is 1 location within Newark, DE's city limits.